The Welterweight division has arguably been one of the most interesting divisions in 2018, as contenders have risen up one after another, going as far as causing a bit of a bottleneck when it comes to the title race. And 2019 seems to be even more promising for the 170-pound weight class, as Ben Askren has finally made his way to the Octagon and is expected to face off against Robbie Lawler at the upcoming UFC 235 pay-per-view (PPV) event on March 2, 2019, in Las Vegas, Nevada. Calling out pretty much the entire division — and some who aren’t in the weight class — “Funky” intends to pick off every contender one-by-one. 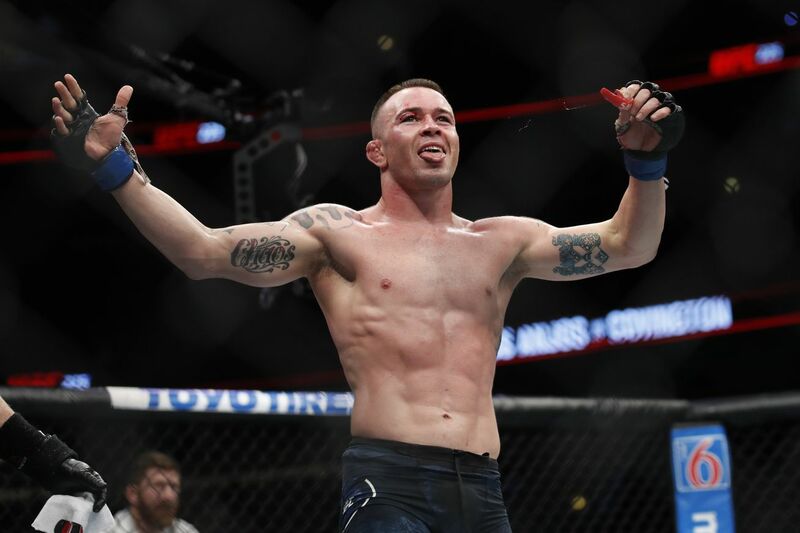 Among the men in his cross-hairs is Colby Covington, the interim champion who still can’t seem to lock down a title fight against division champion Tyron Woodley. “Chaos,” however, says a fight between he and Askren is going to be one that will prove difficult to get a green light on. “Ben Askren, the only thing we have in common…I have a real belt, he has some belts from back in the day that don’t even matter anymore. But let’s be honest, no commission would approve this fight. He is not even ranked in the top 100,” said Colby on a recent edition of the Ariel Helwani MMA Show. “It would be a slaughter and it wouldn’t be competitive. If that 36-year old virgin builds himself up and becomes a draw, then no problem. I will send him back to the back of the line just like everybody else,’ he concluded. Despite Kamaru Usman showing off a signed contract that indicated he will get the next title shot against “The Chosen One,” Colby says it’s simply not going to happen as he fully intends to be the one to fight Woodley at UFC 235. As for Askren vs Covington, that may not happen as soon as fight fans would like if “Chaos” has a say in the matter. Ben Askren just “by your logic-ed” Conor McGregor. See, Conor McGregor came up with the bizarre take that ONE Championship president Chatri Sityodtong was responsible for the UFC shuttering its flyweight division, presumably because ONE ‘traded’ Ben Askren for former UFC flyweight champion Demetrious Johnson. Never mind that it was the UFC that made the decision to cut the 125-lb. division — McGregor insisted that ONE needed to take in all the released flyweights. It’s worth nothing that ONE is, in fact, interested in ‘cherry-picking’ some of the fighters cut by the UFC. Ben Askren, the other party in the trade, pointed out the obvious problem with the Notorious’ logic here. Why would losing Demetrious Johnson mean the flyweight division was doomed? After all, the featherweight division moved on without McGregor himself; a title fight between Max Holloway and Brian Ortega is set to headline UFC 231 on December 8th. I mean Featherweight survived without @TheNotoriousMMA in it, flyweight can’t survive without @MightyMouse ?? Are you telling us DJ>CM??? It isn’t often you see McGregor get owned this badly. Askren should enjoy this. The perfect UFC fight doesn’t exist, because either Paulo Costa or Yoel Romero keeps getting injured. They were supposed to fight at UFC 230, but Romero had to pull out of the bout via injury. The two were still supposed to fight near the end of the year, but now it turns out Costa is injured, and out until March. “Borrachinha” thinks that Romero ought to return the favor and wait for him until March. Joanne Calderwood is facing a former KSW champion, Araine Lipski, at UFC 233. Joanne Calderwood vs. former KSW champion Ariane Lipski has been added to UFC 233 on Jan. 26 in Anaheim, sources told ESPN. First reported by @Lowkingpl. Alexander Gustafsson is training with fellow top ten lightweights Jimi Manuwa and Ilir Latifi to prepare for Jon Jones. Who’s ready for the re-return of the Korean Zombie this weekend? Yair is incredible- I walked into the stadium for the last part of this fight. I’ve never seen someone throw the kicks Yair was throwing. Floyd Mayweather evidently decided he didn’t want to fight this guy- and I’ll take any excuse to post a Tenshin Nasukawa highlight. So… why did Floyd agree to fight Tenshin? Was it all a publicity stunt? Ben Nguyen vs. Wilson Reis is going to be the farewell fight for the flyweight division? Unless something changes, Ben Nguyen vs. Wilson Reis on December 2 in Australia will be the final flyweight fight before the division is dissolved (based on reports). Leslie Smith points out that flyweight disappearing would be the kind of decision that the fighters would have a say in with a collective bargaining agreement. Israel Adesanya’s social media game is as strong as his wrestling. You: Scrolling through your social media. When was the last time you saw someone hit a helicopter armbar in a fight?? 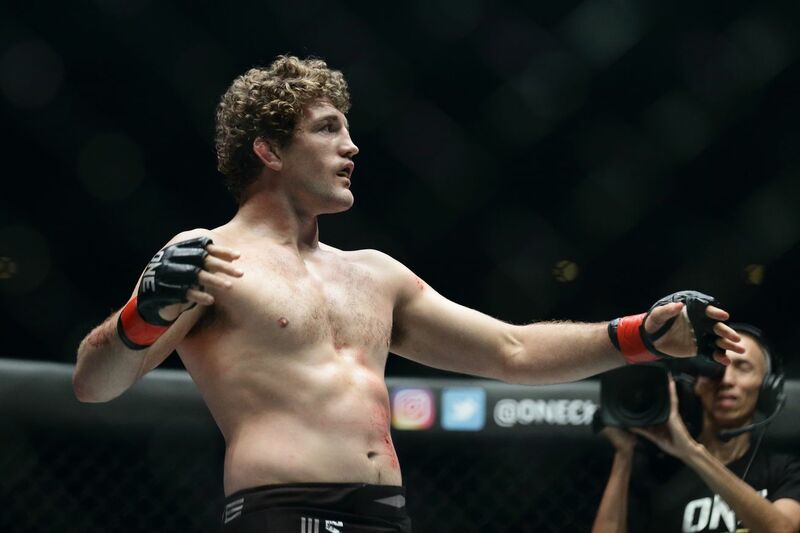 Ultimate Fighting Championship President Dana White promised that Ben Askren would be given a top-five welterweight in his debut and delivered, with Askren now scheduled to fight No. 5-ranked former champion Robbie Lawler at UFC 233 in January. 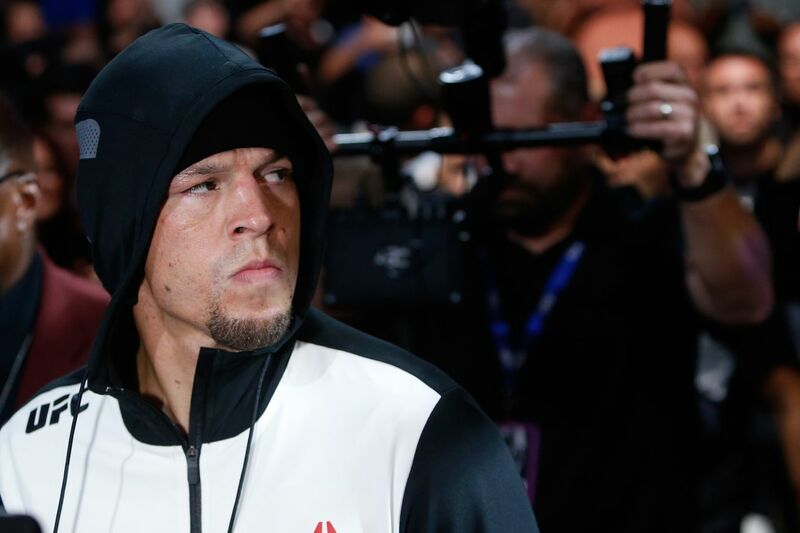 Robert Glenn Lawler, otherwise known as “Ruthless” Robbie Lawler, was maybe the one welterweight Ben Askren had nothing to say about. Yet, Lawler is the one who drew the short straw to welcome the undefeated wrestler to the Octagon. Lawler is no walkover opponent. In his resurgence as UFC champion, he had a wicked sprawl, managing to stuff just enough of Johny Hendricks’ takedowns to win the belt, then totally shutting down any attempt by Rory Macdonald to wrestle him in their UFC 189 all-time classic war. Askren isn’t going to give him the kind of battle Macdonald did- but will he be able to put the former champion on his back and stifle his dangerous striking? It seems we are likely to find out on January 26th in Anaheim, California. Floyd Mayweather is fighting Tenshin Nasukawa because the world is delightfully unpredictable and doesn’t have to make sense. Their combined amateur and professional records show that Nasukawa is somehow the more experienced fighter in terms of sheer number of bouts. Regular readers of Midnight Mania ought to be familiar with Tenshin Nasukawa at this point. Eryk Anders doesn’t think Floyd Mayweather will ever allow kicks, but the rules apparently haven’t been settled yet. I don’t usually find pro wrestling entertaining but this was good. Could Sage Northcutt become the next big ONE Championship signing? This is by far the funniest video I’ve seen all day. 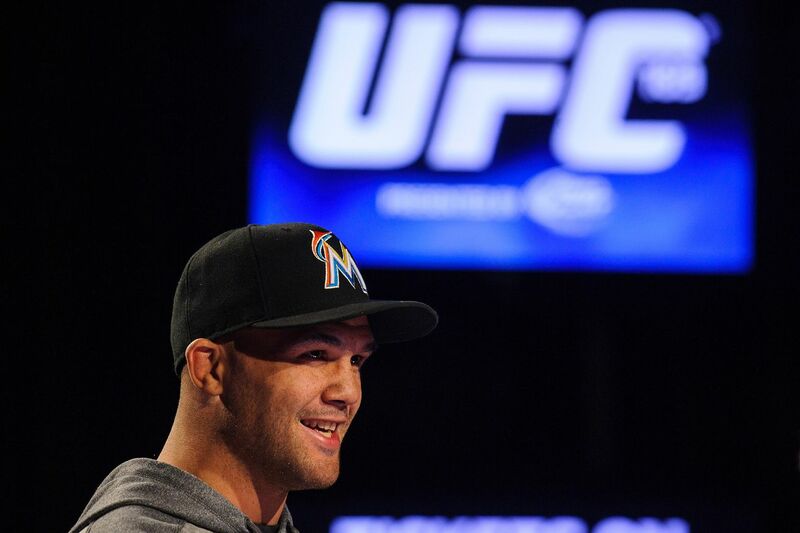 At least Chris Weidman is a great sport about his knockout loss to Jacare Souza. Unfortunately last night didn’t workout for me. Congrats to Jacare & his family & team on a amazing win. He is a true warrior & it was an honor to share the octagon with him. Thanks to everyone for the support, love & prayers. I appreciate it all. I will be back better from this! Nick Diaz was not impressed by the body of two-time Olympian Daniel Cormier. Dana White denying blocking Ben Askren on Twitter was so perfect. His buddy Donald Trump is rubbing off on him. This weekend’s main event is going to be, as they say, lit. Yair Rodriguez vs. Chan Sung Jung is an awesome fight, El Pantera vs. The Korean Zombie. What a picture. I hadn’t seen this much blood in the Octagon in a long time. It was strange seeing all these faces together in the crowd at UFC 230. How can you not love Daniel Cormier? Curtis Blaydes doesn’t rate Brock Lesnar’s chances very highly against the Daddest of them all. Despite how the fight turned out to be an easy stylistic matchup, Daniel Cormier is still among the most impressive fighters in UFC history. This was such a weird callout by Jared Cannonier but I dig it. He may have gotten outshone by some of the card’s brighter lights, but Karl Roberson is an excellent prospect. What a brutal guillotine- this guy was out cold. A reminder of how truly great Anderson Silva was. Will Israel Adesanya’s legacy end up being even greater? Low blow TKOs, the Bobby Green special. No, I won’t ever let that go. This was by far the most insane knockout of the weekend. Matt Frevola and Lando Vannata had themselves a war and it’s weird to see Vannata continue to get draws no matter the level of his competition. Are these real or fake? You find out. Ben Askren’s Octagon debut is nearly finalized, as the promotion is targeting a matchup with Robbie Lawler at UFC 233. A few years back, it seemed laughable that UFC President Dana White would have any interest in signing Ben Askren. Ben Askren may not be a household name with casual fans yet, but that may change shortly, as the undefeated wrestler is on his way to the Ultimate Fighting Championship while his counterpart Demetrious Johnson heads to Askren’s old promotion, One Championship.